Nice when presented together. 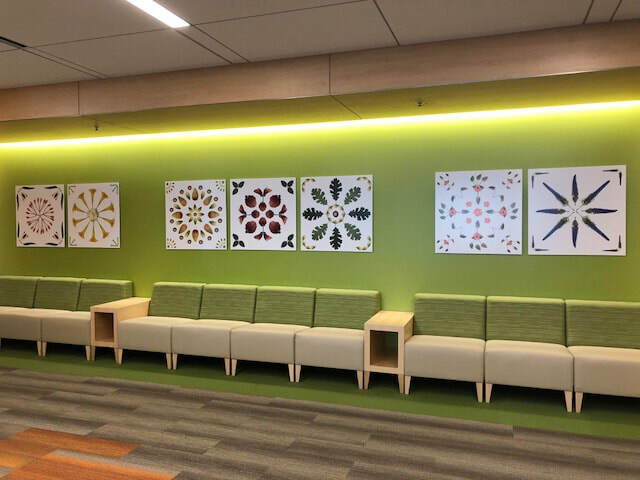 Seven botanical pieces sized 30 inches by 30 inches grace the walls of a behavioural health lobby in Daly City (computer rendering). Would you like to try a piece of art on for size? 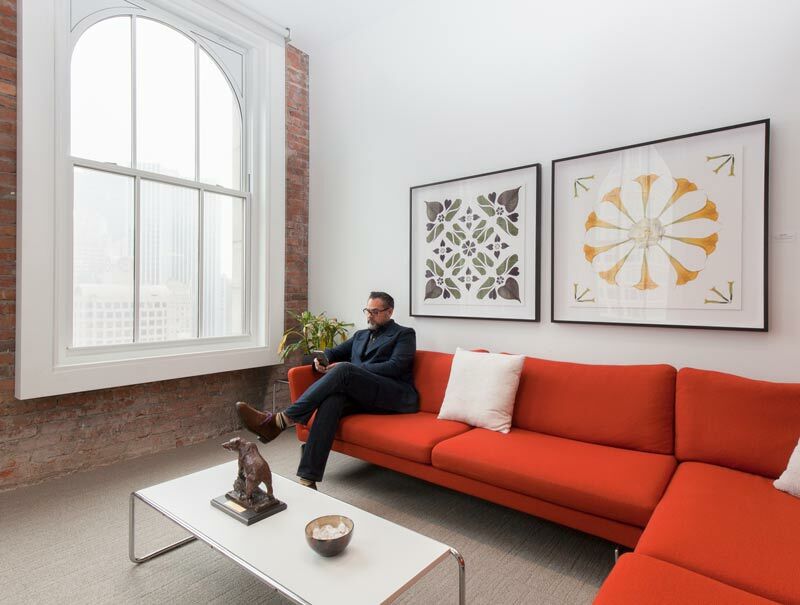 The experts at SFMOMA Artist's Gallery carry a selection of my larger works and can help you make the best choices for your space with their Art Placement Services. Images can be rented or purchased. Contact the Gallery to schedule a viewing appointment. 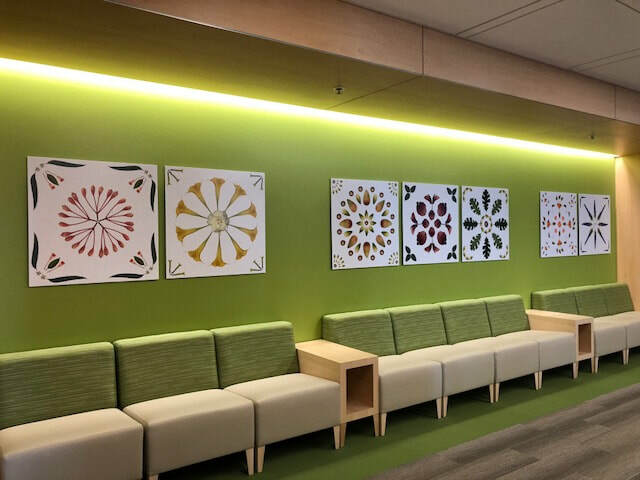 The Women’s Breast Center operated by Sutter Health purchased 23 pieces, 8 of them custom designed for their particular space. An innovative element of this project was mounting photographs printed on aluminum on a curved wall. Nancy Witherell is a breast cancer survivor, and the art consultant for the Center. Nancy knows intimately how having art in a room can support, ground, and visually anchor a woman’s journey through the medical system. When the last piece was hung she took me on a tour of the facility from the perspective of a woman being diagnosed with breast cancer. Each room’s significance in the process was explained. I was shocked. It became real. I was amazed by how art can hold a space. She knew, and now I know. I thank Nancy and Sutter Health for their support in this project. This interactive piece was installed at the SFMOMA Artist's Gallery as part of the show How the Light Gets In. Viewers were invited to write a prayer and attach it to the piece.